Happy Halloween Friends! I hope you guys have some fun stuff planned? Mike and I are going to a restaurant that we’ve been meaning to try for a while, so no costumes for us, but I’m super excited anyway. I’m also excited about November just because it means we’re that much closer to Christmas. For the first time in a while, we won’t be in Tokyo for Christmas which feels a little strange. A couple of my friends are traveling in Tokyo right now and I’m definitely feeling Tokyo fever. Nonetheless, Mike and I will be traveling a bit in November so there’s that to look forward to! 1. Fueling my Tokyo love: these limited edition Star Wars sweets! 2. I’m in love with The New Yorker’s Food Issue. Loving these articles: here and here. 4. I wonder if we’ll look back at the food of today and feel weird about it like I feel weird about the food in the 70s. 5. One of my all time favorite illustrators, Liz Climo, always makes me giggle – she’s killing it with her Halloween posts. 6. This is brilliant food writing. Also, I happen to love “bad” coffee. Everyone’s been killing it with the Totoro love – mad love to everyone who came to the party! 1. 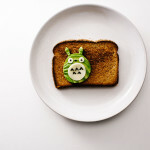 My neighbor Totoro cake tutorial! 2. Black sesame craquelin Totoro cream puffs! 4. Tototro black sesame shortbread! 1. I just blazed through this book – it’s completely freaky and Halloween appropriate. 2. I spent a good 10 minutes playing with this talking Chewbacca while at Target. Too cute! 3. All the winter accessories at Anthro are super dreamy, but this beanie looks especially cozy. 4. I’m a planner so I’m already thinking about what I’m going to be packing for our travel next month. I’m thinking of these extra cute blue stripe-y SpacePaks. I love how you can separate your clean clothes/laundry. Hope you guys have a wonderful Halloween and weekend! PS – Do you follow me on Instagram? 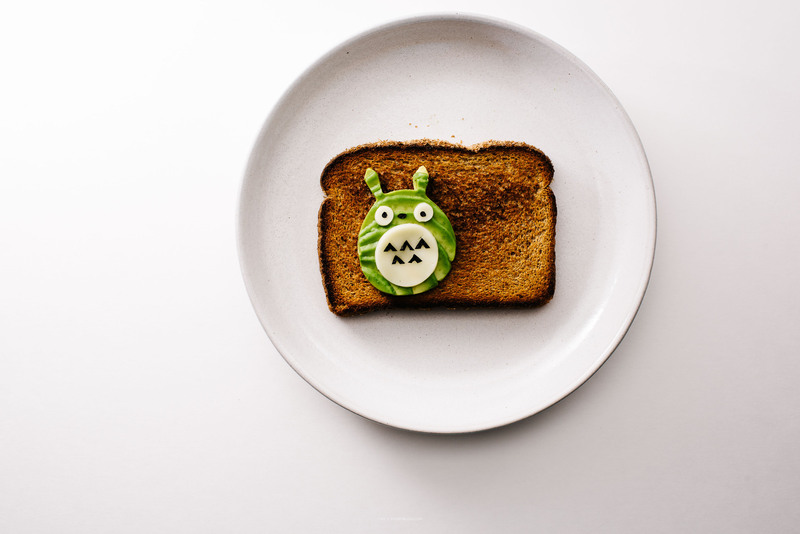 Check out my account for a short little video of Totoro avocado toast!